You may receive updates from Bethesda African Cemetery Coalition, the sponsor of this petition. 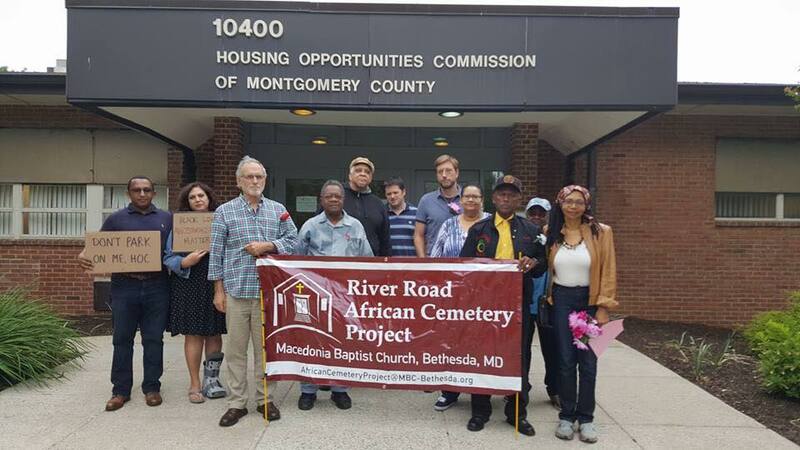 Tell HOC: NO parking garage over historic Bethesda African cemetery! The Moses Cemetery on River Road in Bethesda is the final resting place of members of the once-thriving African American community dating back to the first generation of freed enslaved persons. The cemetery was desecrated back in the 1950s when a developer removed the river stones that were used as grave markers, brought in fill dirt and bulldozed over the land to create a parking lot that currently sits behind an apartment building owned by Regency Centers and leased by HOC. HOC and Regency Centers plan to build a parking garage on top of that sacred ground. It's time we right this historic wrong. We demand that land be memorialized, not further desecrated. The people buried under that parking lot deserve respect. I stand with Macedonia Baptist Church in demanding a stop to the planned desecration of the historic Bethesda African cemetery on River Road. 2) vote to concede that the cemetery’s sanctity takes precedence over further desecration of the Moses Cemetery with a parking garage and housing units.